Michigan is settling back to its usual “not very often” Cajun/zydeco music scene, but there are still opportunities to listen to good local Cajun and zydeco music. This Saturday, April 2, Monsieur Guillaume and His Zydeco Hepcats play at the Bayou Grill, 404 Main St., in Belleville, MI. You can’t miss the huge alligator on the roof! The Hepcats play starting at 9:00 pm. It appears the Bayou Grill is trying a regular Saturday night live music thing again–good for them! Not all of it is Cajun/zydeco music, but it is still live music! And check out the Hepcats new web page. I like it so much better than their old MySpace page. :-) Call the Bayou Grill at 734-697-2300 for more info. Oh, did I mention it’s a Cajun restaurant and you can get good things to eat there? Then on Sunday, April 3, Cracklin plays at Cleary’s Pub, 113 S. Main St., Chelsea, MI (734-475-1922). Cracklin plays from 1:30 to 4:30 pm. Don’t know much more than that, though. Someone go and check it out and send me a report! We’ve really been having a feast of live Cajun/zydeco music in the southeastern Michigan area lately. And this weekend it continues! Michigan based Cracklin plays on Friday, March 11, and Saturday, March 12. Friday is at Goodnight Gracie in Ann Arbor, at 301 W. Huron St (SW corner of First St.), from 7:30 to 10:00 pm. $5 cover. Cajun food available. Not sure if this is a 21 and over event or not (but probably). More info: 734-623-1443. Also don’t think there is a dance floor. On Saturday, Cracklin appears at the (NOT “teh”!) Black Sheep Tavern in Manchester (Michigan), 115 E. Main St., for two different seatings, 6-8pm and 8-10pm. This is due to the fact that the last time Cracklin played there diners didn’t want to leave and so others folks couldn’t get in to hear Cracklin! There of course will be a Louisiana inspired menu as well as the regular menu. More info: 734-428-8972. And, of course, not to be outdone, another local band, Creole du Nord, plays their regular gig at the Passport Restaurant & Lounge, 3776 S. State St. in Ann Arbor, on Sunday, March 13 (yikes! Friday the 13th done come on a Sunday this month! ), from 6 to 8 pm. Go get some dinner and even do a little (or a lot of) dancing. Info: 734-222-1111. Mardi Gras is upon us! March 8 in 2011. If you’re looking for some LIVE Cajun/zydeco/New Orleans/swamp pop music in Michigan, you’re in luck! Maison Bleue plays for a Mardi Gras party in Dearborn at the Dearborn Hills Golf Course banquet hall at 1300 S. Telegraph Rd. The party is from 3:30 to 9:00 pm, Maison Bleue plays from 6:00 to 9:00 pm. There is also a student band playing from 3:30 to 4:45 pm. This party is a fundraiser for the Dearborn Education Foundation. Tix are $25 at the door. Info at 313-827-8790. Also included with your admission ticket is a very tasty Cajun buffet. It’s all I can do to get the band back playing instead of going back for more chow! If you’re on the east side of Detroit (or even if you aren’t), you may want to check out Monsieur Guillaume & His Zydeco Hepcats as they play at the Cadieux Cafe at 4300 Cadieux Road in Detroit. That party starts at 8:00 pm or thereabouts. No cover charge, and no reservations needed, although the Cafe does say that if you have a party of 8 or more folks, please do call and make a reservation. Call 313-882-8560 for reservations or more info. Presumably, one could make it to both the Dearborn and Detroit Mardi Gras gigs if one were so inclined! If you do make it to the Cadieux Cafe, remind them that it’s spelled “Zydeco Hepcats” instead of “Zydaco Hepcats” as they have on their online schedule! Also, although it’s not near Detroit but up in Elk Rapids (north of Traverse City) in Michigan’s lower peninsula, one could catch the Saucecats at a Mardi Gras party at Pearl’s New Orleans Kitchen. It’s at 617 Ames St. in Elk Rapids. No cover charge, no reservations needed. Call 231-264-0530 for more info. Alan previously posted info about the MG party with Nathan & the Zydeco Cha Chas and Creolization at The B.O.B. in Grand Rapids, so scroll down for that info. Mardi Gras at The B.O.B. The B.O.B. 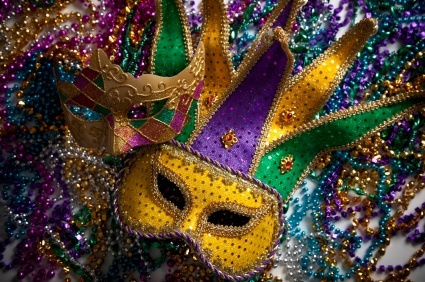 (Big Old Building) is hosting its annual Mardi Gras party on Fat Tuesday, March 8th, with music, contests, dancing, and food & drink specials. The party begins at 3:30 in the afternoon, and runs on ’till closing time. Admission is free. Posted in Dance, Music | Comments Off on Mardi Gras at The B.O.B. 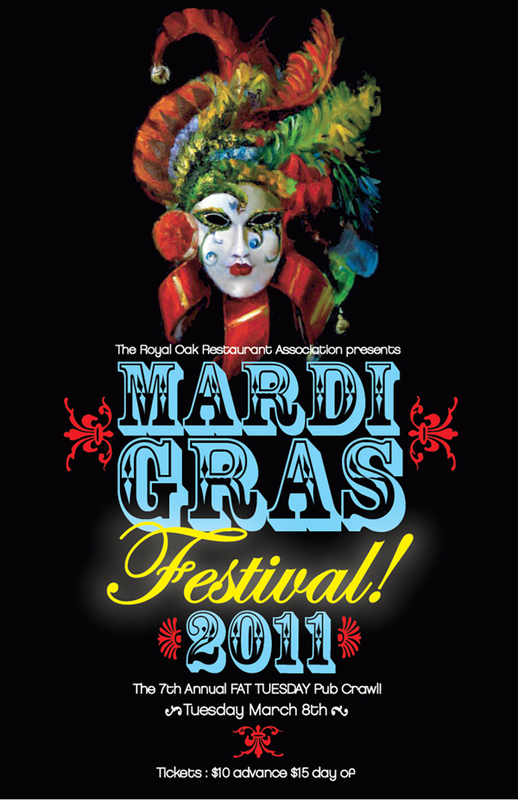 Mardi Gras is Tuesday, March 8, this year, but you can get a head start on Mardi Gras this weekend. Friday, March 4, sees Creole du Nord take to the stage at the Dream Nite Club in Ann Arbor for an MG party. $10 admission (ladies $5 until 10:00 pm), live music by CdN begins at 10:00 pm. The Dream Nite Club is at 314 S. Fourth Ave. in downtown Ann Arbor, MI. Call 734-222-4522 for more info. Then on Saturday, March 5, Monsieur Guillaume & His Zydeco Hepcats play a Mardi Gras party at the Bayou Grill in Belleville, MI. Party time is 8:00 pm. You want to attend this event with an empty stomach so you can fill up on some Cajun food there! The Bayou Grill is at 404 E. Main St. in downtown Belleville. More info at 734-697-2300. For a landmark, look for the huge alligator on the roof of the Bayou Grill. And if that’s not enough CZ music for you in one weekend, you can catch Creole du Nord again on Sunday, March 6, as they play their regular 6-8 pm Sunday gig at the Passport Restaurant & Lounge at 3776 S. State St. in Ann Arbor. Info: 734-222-1111. Posted in Dance, Music | Comments Off on It’s almost Mardi Gras time!